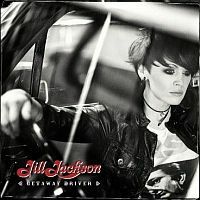 Perhaps there is ‘something’ in the west coast water, listening to the opening bars of this album’s titular opening song, I found myself thinking about another singer/songwriter from west central Scotland; Amy MacDonald may be Jill Jackson’s junior but I found certain pleasing similarities. I do not mention this as a criticism, simply an observation as it soon becomes evident that the pair have their own distinct characters. Jill cites a number of wonderful American country artists as major influences; and having elected to work in Nashville following her departure from Speedway, she clearly has an affinity for country music / Americana. I did, however, wonder about the promotional blurb for her forthcoming gig in Melrose that I will be attending soon, ‘as a solo artist her acoustic Americana is far removed from the music she made as the front-woman of rock band Speedway, with whom she scored two top ten hits in 2004’. I feel that this might be slightly misleading as I believe that she manages to retain a healthy, rock sensibility in some of the tracks on this album. I find that I have to return to my ongoing concerns about the use of genre labels as there is always a danger that such designations can be rather blinkering. She has produced an almost perfect selection of edgy, up-beat songs blended with other exquisit slower numbers, that encompass a wide range of nuances and incorporate echoes of many of her influences, yet it most definitely stands on its own merit. With exception of the title track, which is about a bank robbery, ‘Getaway Driver’ is billed as a biographical album and as such it is a wonderful individual addition to my musical library. This, perhaps, helps to explain the deeply moving and engaging selection of songs included. With a production that highlights Jill’s vocals over tight instrumentals, that are sometimes relatively understated but never under-rated. Her expressive voice adds character and colour to the intelligent lyrics and as with other great opuses, repeat listening brings additional appreciation. I certainly look forward to the June 9th for the opportunity to appreciate the ‘Getwaway Driver’ tour when it arrives locally in Melrose. A gig review will definitely follow in due course.